Top 9 Reasons to Have Your Dog Walked! 1. Physical wellbeing – A fit and healthy dog is a beautiful sight. Their muscles are strong and their bodies are sleek. To stay fit and strong, lungs and muscles need to be exercised on a regular basis. Many dogs suffer from health problems simply because they are overweight – heart problems, breathing difficulties and joint pain are the most common. Even ten minutes of brisk exercise (a steady walk) can go a long way to keeping weight under control. 2. Mental wellbeing – Dogs were not made to sit around all day long and do nothing. They are intelligent animals with keen senses that would naturally be used for scavenging and in some cases hunting. By having your dog walked out of his property on a daily basis you are giving him an opportunity to use his senses and to engage his mind. 3. Socialising opportunities – While many people make an effort to socialise their puppies, they don’t realise that socialising should be a life-long endeavour. Dogs that continue to go out of their properties on a regular basis have the chance to meet other people and dogs as well as to experience the world around them. Such dogs will remain well socialised for the rest of their lives and will often become more and more of a pleasure to take out as time goes by. 4. Outlet for excess energy – Young healthy dogs are extremely energetic. They need an outlet for their energy in order not to become over-excitable and uncontrollable in the home. One of the most common behavioural problems we encounter is dogs that don’t settle down and jump all over their owners or bark excitably for no reason. The common denominator in most of these cases is that the dogs are seldom or never taken for walks. They have no outlet for their energy and so direct it towards getting their owners’ attention instead. 5. Reduction in behavioural problems – Digging, destructive chewing and barking can all occur as a result of boredom – the dog has nothing else to do and so turns to the only available activities in the home. Having your dog taken for a walk gives him/her something positive to do instead. Once a dog knows he can count on a daily walk he will usually stop trying to find other undesirable things to do while he is at home. 6. Training opportunities – By having your dog out walked on a daily basis he/she will have many opportunities to learn new things. He/she could learn to sit before crossing a road, to lie down quietly while you rest on a bench and read the paper and to follow you at all times or get left behind! 7. Longevity – Because dogs that get regular exercise are fitter and healthier than those that don’t, they usually live longer. As joints weaken with age it is extremely important to keep muscles as strong as possible so that they can support the joints and enable the dog to continue to get around for as long as possible. Moderate daily exercise helps enormously in this regard. 8. Getting the most out of your companion animal – Dogs are companion animals. A companion is someone who spends time with others and shares things. To get the best out of our dogs they should be part of the family, included in family activities and outings. A dog that is used to daily walks will easily fit in on family hikes, picnics and visits to the beach. 9. Sheer enjoyment – Although I am sure that there will be many people who will be quick to correct me for applying human emotions to dogs, I have to state that I do believe that going for a walk makes dogs happy. As soon as we start to get ready for a walk our generally calm and relaxed dogs start to show excitement and come to supervise as we put on walking shoes etc. They cannot wait to grab a ball and get out the gate or in the car. I am sure that I am not imagining the look of sheer delight on their faces when they are walked. Walks do not have to be terribly long (thirty minutes of moderate exercise may be enough in some cases), but they must take place daily. Having one’s dog walked every second day or three times a week does not work, because the inconsistency usually causes the dog to become frustrated on the days it doesn’t get to go out. Also, if the commitment on the part of the owner tends to be very tenuous, walks will easily be put off until tomorrow, until eventually the dog will be lucky to go out at all. It’s something many pet owners dread: boarding their furry friend for several days or weeks while the family is away from the home for one reason or another. Many boarding services are cramped, crowded, dirty, and unsanitary, making them poor places for animals to live for any period of time. The animals are often locked in cages, and get little time to do much outside of the confines of their kennel. While this practice is as old as keeping pets themselves, there are new options becoming available as new ideas come into play, with one of the most prominent being pet sitting as an alternative to boarding. Here at Waggy Walkys, we offer a wide array of pet sitting services, which can help to make your vacation less stressful for you, as well as for your dog. While some facilities are well-kept, many boarding places are poorly maintained with poorly trained staff, which in turn can lead to significant harm to your cat or dog. In fact, many dogs can develop anxiety conditions while they are kept in the boarding facility, due to the stress they incur during their stay. Many of the animals are not fed diets which are suitable for their personal needs, and diseases have been known to make their way around these facilities. Boarding can be a traumatic experience for an animal, but fortunately there are better options available. At Waggy Walkys, we do not board dogs the way many other traditional boarding centers do. In fact, we call our service, Pet Sitting. Pet sitting with Waggy Walkys is where your pet can be cared for in the comfort of its own home. By Pet Sitting with Waggy Walkys, you will know that your pet is cared for and kept comfortable in your home while you are away. We believe that each and every animal deserves to be treated properly, and we are on a mission to change pet boarding for the better. 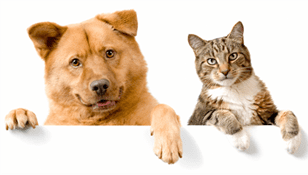 If you have pet boarding needs, contact Waggy Walkys today to learn more about your options. We can care for dogs of all sizes, and we would love to get to know you and your furry friend. By choosing Waggy Walkys, you are ensuring that you are working with the very best in dog care, and we are hoping to change the way you see dog boarding one vacation at a time. If you would like your pet to feel as comfortable and relaxed during your vacation as you, contact Waggy Walkys today to set up your pet sitting arrangements. Waggy Walkys, the Best Dog Walkers in DC, MD and VA ! Many new dog owners have been predisposed to the idea that there is little that can be done to prevent a dog from being aggressive around other animals. While some dogs are very kind and behave well around others, other dogs can be aggressive, and many have been known to attack other dogs, people, or animals. While these cases may be fairly common, they are avoidable, as proper socialization in dogs can work to prevent aggression and poor behavior. Socialization is a term which refers to situations in which an animal (or person) is put in an environment where they are encouraged to interact with others. Dogs can be socialized in a number of ways, whether it be at a dog park, at a doggy day care, or simply during walks where they may encounter other dogs or animals. When a dog behaves well around other animals, it has proper socialization skills, and will often be far better behaved both in the home and on the town as a result. In contrast, a poorly socialized dog will be badly behaved around other animals, and in extreme cases can pose danger to children and other family members. As in humans, socialization is key when raising young dogs, as it will define their behavior for the rest of their lives. Dogs who are not socialized during their youth will not know how to properly behave around other dogs, or even other humans, and will become aggressive as a result. This can mean excessive barking, barking at other dogs, cats, or people it may see, growling, or even attacks in extreme cases. However, a dog that is properly socialized will likely bark much less, will be far easier to train, and will behave quite well around other dogs, particularly when being boarded at a doggy daycare, or when they are at the park. Well-socialized dogs will be far less likely to attack children or other members of the family, and will overall make a far better pet as the years go on. What Can You Do to Socialize Your Dog? While socialization is important, many dog owners are unaware of the proper techniques needed in order to properly socialize their dog. The first step is to ensure that a dog is of the proper age before beginning socialization – meaning they should be around 9 months old, with proper vaccinations. Once a dog reaches the right age and has had their shots, they can begin to interact with other dogs. Socialization requires bringing the puppy to areas where a number of other dogs will be located, such as a dog park. For those who do not have experience in socialization, it may be best to consider a professional alternative, as it does take some practice to properly socialize a dog. Here at Waggy Walkys, we put a very heavy focus on socialization, both in-house as well as on walks, as we understand its importance to each dog’s health. Here at Waggy Walkys, we offer a unique service known as Dog Park Play, where our dogs are able to socialize and play in a safe, supervised area, where they will learn proper behaviors while having fun. In addition, Waggy Walkys offer dog walking services, which can also be used to socialize animals when they are walked together. Our team is trained in dog behavior, and they know all there is to know about properly socializing a dog, making us number one in dog care in all of Baltimore. If you are looking for a professional service to help you socialize your dog, contact Waggy Walkys today. At Waggy Walkys, we truly care about your pet, and we wish to see it live the happiest life possible. If you have any sort of pet sitting, dog walking, or socialization needs, give Waggy Walkys a call today to learn more about your options. Dogs are currently the second most popular pet in the United States, with over 80 million pet dogs owned by Americans. Many dogs make excellent family pets, however a very large number of people who adopt these furry friends have little understanding about their exercise needs. Exercise is not only important to a dog because of its health, but because it also serves as a way for it to get out its energy, making it easier to train, and more well-behaved in the home. When a dog does not get enough exercise, it will become prone to a number of health issues that could pose a threat to their life. One of the most common issues seen in dogs that get little to no exercise is obesity, which can lead to heart disease and sore joints as your dog ages. In addition, obesity in dogs can lead to a number of diseases commonly seen in overweight humans, such as respiratory disease, heart disease, and even diabetes. Overweight dogs are also prone to arthritis and other orthopedic issues, which can make movement painful for a dog in its old age. The easiest way to avoid each of these issues is to allow your dog to get the proper exercise each day; for those with a busy schedule, consider working with a dog walking company to help keep your dog in shape, such as Waggy Walkys. At Waggy Walkys, each of the dog walkers is trained to know how much exercise is need for certain breeds of dog, which can help to reduce the risk of obesity in your furry friend significantly. Understanding the exercise needs of your dog can be tricky, particularly with large breeds. While it may seem that a 15 minute walk is enough, larger breeds often require a minimum of two 45-minute walks each day in order to keep them in shape and living a healthy life. This routine can be difficult to follow for those with busy day to day routines, which lends its hand to the number of obese dogs in America today. It’s important to understand a dog’s exercise needs before bringing one into the home, however if you have found yourself with an insatiable pup, give Waggy Walkys a call today to learn more about professional dog walking options. By working with Waggy Walkys, you can guarantee that your friend is getting the exercise they need, without having to drastically change your routine. Here at Waggy Walkys, we understand the importance of exercise for your pet; dogs which are not properly exercised have a higher risk for obesity than those which are walked properly, which can cause great harm to the animal in its later years of life. By working with Waggy Walkys, you can ensure that your pet is getting the exercise it needs to live a long and healthy life, free of obesity and other life-threatening conditions. Contact Waggy Walkys today to learn more about our rates and walkers, and what we have to offer you and your pet. Remember, Waggy Walkys has the Best Dog Walkers in DC, MD and VA ! It’s important to keep your pet active and engaged with other dogs and humans, so hiring a dog walking service is more than just a luxury that some people do to be lazy or hand over responsibilities to someone else. Here are some common reasons that a dog walking service is used and why you should consider investing in one yourself. The most obvious benefit to having a dog walker take your dog on regular walks while you are away is the immediate health impact. Dogs are just as susceptible as we are to major diseases related to obesity. It is estimated that up to 50% of dogs and cats are obese. Plus, dogs that have serious diseases are often much harder to detect than humans. Getting three 20 minute walks each day is the best way to keep your dog living a long, healthy life. Getting your dog out to interact with his or her peers is very important for preventing behavioral problems at home with you and your family and other dogs. Cabin fever affects dogs quicker than humans, they need constant sensory feedback and a way to expend all that energy built up. Of course human interaction is also important, a good professional dog walker can correct bad behavior and excessive barking at strangers. All that walking will expend the energy built up and puts the dog back on a regular nap and sleep schedule. This will reduce the number of happy accidents, when you come home to the house tore up, or holes dug in the backyard. Sleep is important for a dog’s overall mental and physical health. You know your dog is in good hands, as long as you do your due diligence when screening applicants, while you are away at work. You don’t need to worry about your dog getting into trouble or potentially getting into a dangerous situation at home. A dog walker is the perfect babysitter, someone who has experience with dogs and who is invested in making sure your dog is safe. With the ability to do more things on your own time, you don’t need to feel guilty for leaving your pup at home. You learn to enjoy the time with your dog while being able to handle any business you have in your professional life. 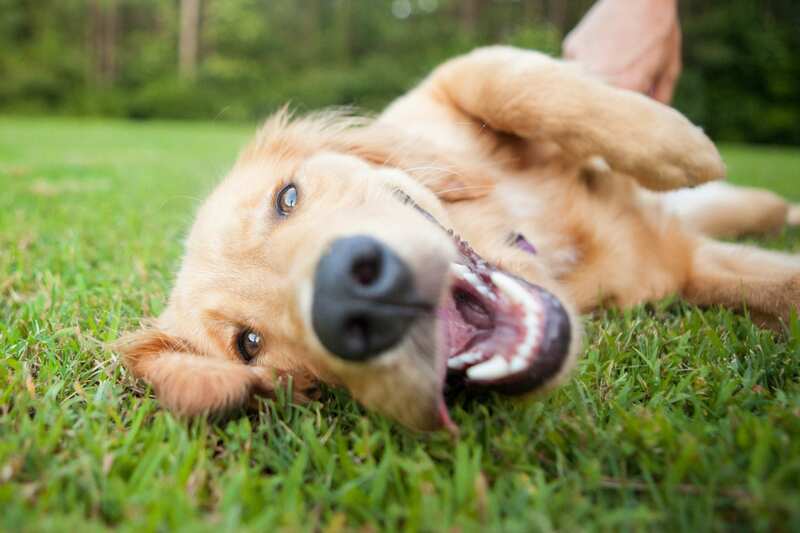 Your dog won’t hate you either, as long as they spend the day having fun. Leaving your dog in a crate all day is essentially accepting the fact that you have to leave your dog to go a little mad for a day and possibly soil themselves while in there. This should be avoided at all costs. It simply can’t be done without hurting the dog on some level. It also breeds mistrust with the owner, if repeated. A dog’s bladder gets weaker as they get older, so they must be taken out for a walk 3 to 4 times a day. Their renal system is very sensitive in their senior years. Renal failure is one of the most common ways that dogs pass away. They have a much harder time filtering out the toxins in their urine. The Top 7 Reasons You Should Hire a Dog Walking Service by Waggy Walkys LLC.